Marathon Marine makes a good quality welded aluminum jet boat. 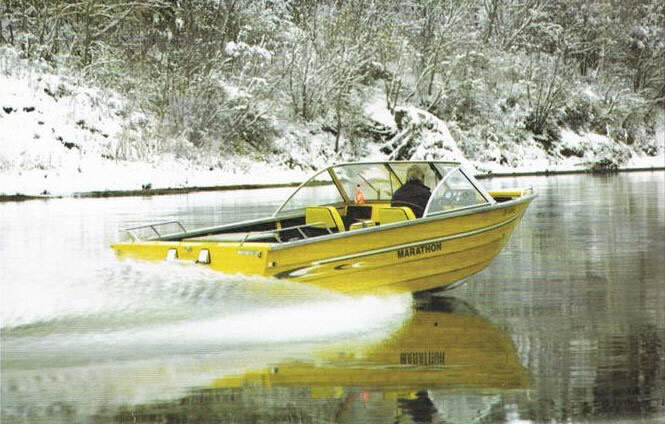 Marathon Marine is a custom jet boat builder located in Edmonton, Alberta. With over 30 years experience in the aluminum boat building industry, Marathon Marine is a brand you'll see frequenting many of the rivers in Alberta, BC, Saskatchewan and into the United States. There is a healthy used market for Marathon Marine boats with a variety of lengths and power options available. Available in 16' - 21' with many configurations.